The Markhor is a beautiful animal of the wild Goat family found from Kashmir to Afghanistan in the Himalayas/ Hindu Kush/ Karakoram and in the Pamirs in Tajikistan and Uzabekistan. The Markhor is also the National Animal of Pakistan. The species was classed by the IUCN as Endangered until 2015 when it was downgraded to Near Threatened, as their numbers have increased in recent years by an estimated 20% for the last decade. That being said the Pakistani Government issues annual licences for Hunters to take down a limited number of these magnificent animals who are apparently unable to breed. Hunters from abroad usually pay a high amount to get a hunting license for the same. 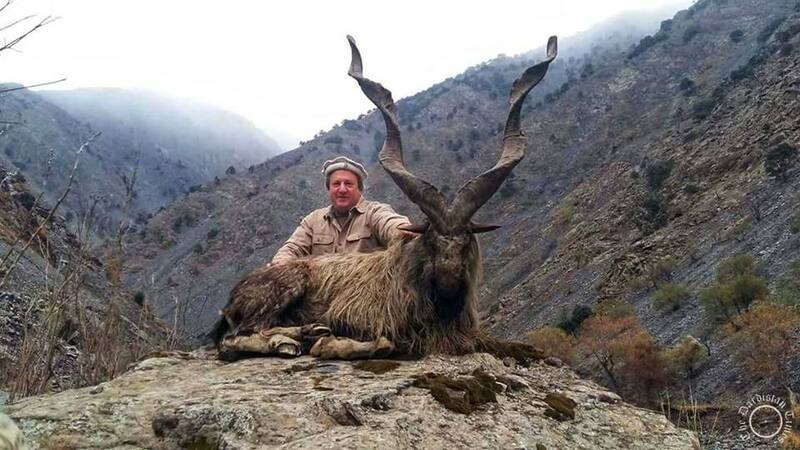 Last year the license for the most expensive Markhor was a 100,000 USD. Plus all the other costs that go with the hunt. The money in turn is used by the Pakistani Government for the conservation of the species. And it seems to be showing results. I have never been able to subscribe to the fact where you allow the hunting of a species for the preservation of the same species. Sounds kinda contradictory but it seems to work. I just imagine what would the same people pay for hunting say, a Snow Leopard. What are your views on the same ?